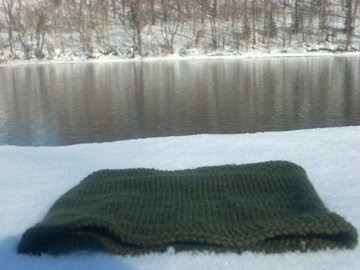 Step 1: I lost my one and only scarf (and the first thing I ever knit) at a party last Friday (a week and a half ago). Step 2: The next day, the temperature plummeted (as many of you experienced) to waaaaaay below freezing. The strong wind didn't help. Step 3: I thought I could survive without my scarf, but after a few days I knew I had to do something about it. Step 4: I found a random skein of Malabrigo and immediately cast-on for a cowl, as it would be faster to knit and use less yarn than a scarf and would serve the same purpose - to keep my neck warm. 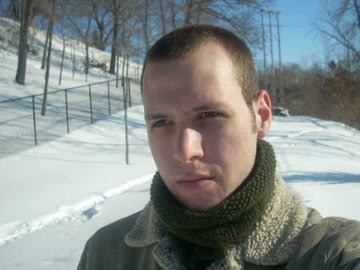 Step 5: I spent the next few days knitting the cowl between classes, studying, and rehearsals. Step 6: The day I finished the cowl the temperature miraculously rose 50 degrees and is now in the 20s and the cowl is much less necessary (though still nice to have around) than it was when I started it. Of course I'm not complaining because now I have a wonderful piece of Malabrigo to wrap around my neck and nothing is better than that. The pattern I used is the one for the Gloria Cowl, which is more a loose set of guidelines than an actual pattern. I cast-on 101 stitches on US 8 needles and knit ten rows of seed stitch (rather than the suggested three) before starting the stockinette section. I knit in plain stockinette until I thought I had about ten rows worth of yarn left, knit 10 rows in seed stitch, and bound off. 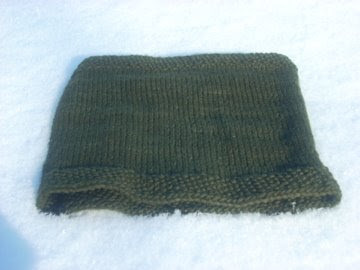 The yarn I used is Malabrigo worsted in Olive. I used up most of one skein, although I do have a bit left (and used a bit previously to knit a stripe in a hat for my brother). All in all I am quite happy with this project. 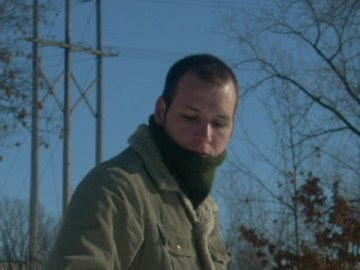 It keeps my neck warm, I can easily pull it over my face if there is a strong wind, and there is no chance of it blowing away when an unsuspecting gust of wind catches me off guard. Now all I have to do is make myself a hat to keep my head warm. Of the 12 hats in my projects over in ravelry, I realized that none of them are still in my possession. Yes, this is by choice because it never seems as if the hats I knit are what I'm looking for (except one that I really liked, but it was intentionally made as a gift), but it would still be nice to own a hat. I think I'm going to have to make a hat next and keep it for myself. I can't wait to see what the weather has in store as soon as I finish that one - temperatures in the 70s? Doubtful, but I'll keep my fingers crossed. Also, as a political aside, I am so freaking happy that Bush is no longer in power. I realized yesterday as I was watching Obama's inauguration that I went through my entire teenage years with Bush as president. He was elected mere days before I turned 13 and remained in office until I turned 21. I think it's fitting that I begin a new chapter in my life at the same time that our country is beginning a new chapter in history. Here's hoping it's a good one. 1. Sorry you lost your scarf. 2. The cowl looks great! 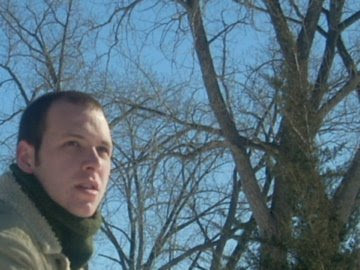 The cowl looks soft and warm--did you realize you look a lot like John in that last photo? Also, when you put Bush's presidency in those terms, it makes it seem a loooooot longer than it was. Stop that! I'm sorry to hear of your scarf loss, but the cowl looks fantastic! And cowls are so much faster than scarves. 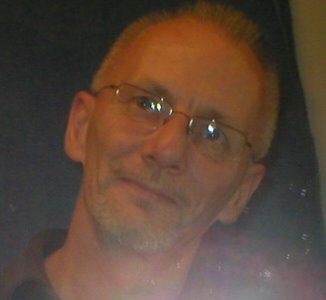 My entire adult life has been lived under Bush...he was elected just before I turned 18. I don't even know how to think about having Obama as my president now, but it's pretty amazing! Sorry to hear that you lost your first knit scarf. I like the cowl, it looks great on you.